Asia Motor Works founded in 2002 is an Indian commercial vehicle manufacturer which makes a range of heavy duty vehicles that are used in construction, mining, petroleum, power, road and highways, infrastructure, cargo transportation and several other applications. 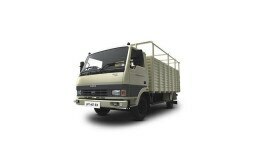 The company offers transporting solutions right from tippers, heavy duty trucks to long haul trucks and special purpose trucks with the price range in India starting from INR 18.45 lakhs (ex-showroom). Some of the popular models in its vast range of offerings are AMW 2518 TP, AMW 1618 TP and AMW 2523 TP tippers which have proved their mettle in the rough and tough mining operations with high performance and durability. AMW has well comprehended the growing environmental concern and steadily transformed itself to the latest BS-IV emissions standards. The manufacturing process goes through modern assembly lines, R&D paint shops and warehouses spread in 515 acre plant in Bhuj, Gujarat. AMW also has a dedicated research center that emphasizes on research and development of latest products and technologies. The company exports its vehicles to SAARC nations viz. Bhutan, Bangladesh, Nepal and Myanmar. AMW supports a wide network of over 92 dealerships and over 43 service centers with 1500 touch points across India.